Today, Feel Good Friday gets personal. Why? Because the President of Creating Better Communities, Becky Murray, is someone I met when she came with me on a Habitat for Humanity trip to Madagascar in 2007! So what is Creating Better Communities, aka CBC? As stated on their website, "CBC is a non-profit organization providing food to homeless and hungry neighbors in Venice Beach, CA." Volunteers prep food Friday evenings and Sunday mornings for distribution at 7:30pm and 9:00am respectively. Right now much of the food is donated by Food Forward, an organization that "rescues fresh local produce that would go to waste, connecting this abundance with people in need, and inspiring others to do the same." Becky has certainly been inspired. 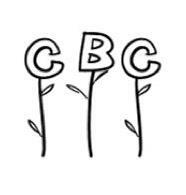 In addition to the weekly food distribution, plans for CBC include starting a community garden and a donation based restaurant! You can get involved by volunteering if you live in the area and donating if you don't. To see pictures of the volunteers in action and keep up with the latest, greatest news - like their Facebook page. Me, then Becky on the left. First she built houses, then she built lunches.